SOUTH PACIFIC ZONE - Real estate for sale in the Ojochal area. 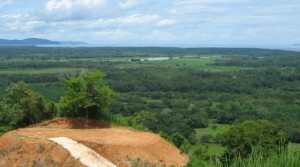 Beautiful beaches and hills with views over the Osa Peninsula. 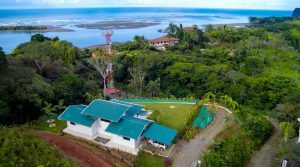 Affordable apartment complex in Ojochal on a 2.7-acre property with ocean views, a community pool, rainforest setting, and four rental units. Each apartment features comfortable living spaces, fully equipped kitchens, 1 bedroom, 1 full bath, and a covered patio area. Income producing property with growth opportunities. 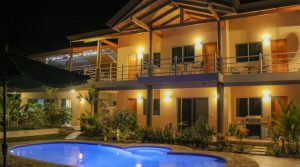 Newly constructed single level home with an infinity edge pool on a 0.7-acre property in Ojochal. 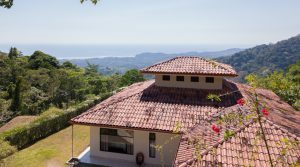 The home features whitewater ocean views stretching down to the Osa Peninsula and spacious gardens surrounded by beautiful forested areas. Close to town and selling completely turnkey ready with furniture & appliances. 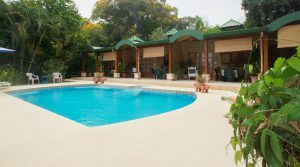 Very affordably priced, turnkey furnished home with a pool on 2.4-acres in the mountains above the town of Ojochal. Great property for retirees with a perfectly cool climate, single level floorplan, a private setting, spacious gardens, close to shopping / dining, and beautiful blue Pacific Ocean views stretching out into the horizon. Magnificent 4 bed / 3.5 bath villa with a separate 1 bed / 1 bath guest house on a gorgeous 0.73-acre property near the town of Ojochal. The property features a resort-style pool with jacuzzi and gorgeous ocean views. Good deal for a property with over 4,000 sq.ft. of high-end construction with luxurious finishes. Turnkey boutique hotel with 3,600 sq.ft. 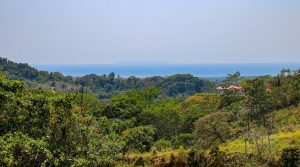 of construction, tropical pool area, 5 beds / 7 baths on a 1.34-acre property located near Ojochal, Costa Rica. Beautiful ocean views surrounded by lush rainforest. Good deal that can also function quite well as a private residence and rented as a large vacation rental. Single level home in Ojochal featuring a contemporary design and luxurious finishes. The 4,300 sq.ft. 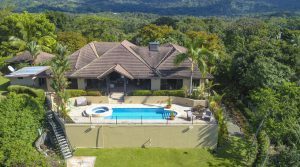 home built in 2015 sits on a 3/4 acre land parcel and includes an infinity pool, a gorgeous ocean view, and is selling turnkey furnished. 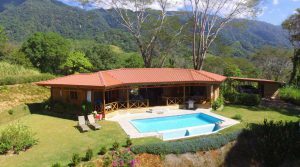 Ideal for retirees who want to move to Costa Rica or an investor looking for a vacation rental home. 88.7-acre property in Ojochal for an investor, a residential home builder or an incredible private estate. Highlights include year-round flowing rivers, natural waterfalls with swimming holes, beautiful ocean views and only minutes from town, gourmet restaurants and the beach. Stunning property with a new asking price under $1 million dollars. Great price for a new turnkey ready home with ocean view in Ojochal. 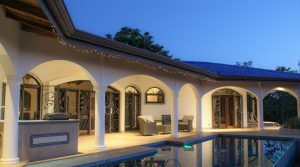 The property is just under 1-acre and located close to the beach and the region’s best restaurants. The modern design is perfect for indoor/outdoor entertaining and features an open layout leading to a tropical pool area. Move in ready, fully furnished with appliances included. 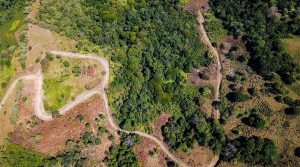 Ocean and mountain view land parcel with mature tropical fruit trees features an over-sized building site on 5.5 acres. The location is excellent with easy access just off the Coastal Beach Highway and only 2 miles from an 18 hole golf course at the San Buenas Golf Resort and Spa. Very affordably priced for an ocean view land parcel this size! 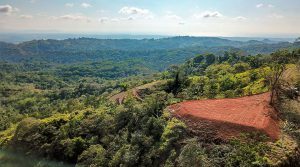 Estate sized land parcel with a huge building site featuring panoramic ocean views overlooking the Sierpe Mangroves all the way to the Corcovado National Park. The land encompasses over 12 acres privately perched atop a mountain in Cortez. Get in on the ground floor of a developing community while prices are still affordable. This affordable home building site is ready to build with water, electric, and a home design already created. The most stunning feature of this plantel is its direct Cano Island view and the sunset ocean view window. It’s located on the front row of its ridgeline to maintain the views and is in a developing community. 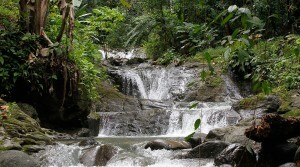 This valley view lot is .46 acres and nestled inside of a private community in Chontales. The site is almost ready for construction as community water and electric service can get run to the building site. Up and coming community with new luxury homes being built. Affordable ground floor opportunity with home building plans included.